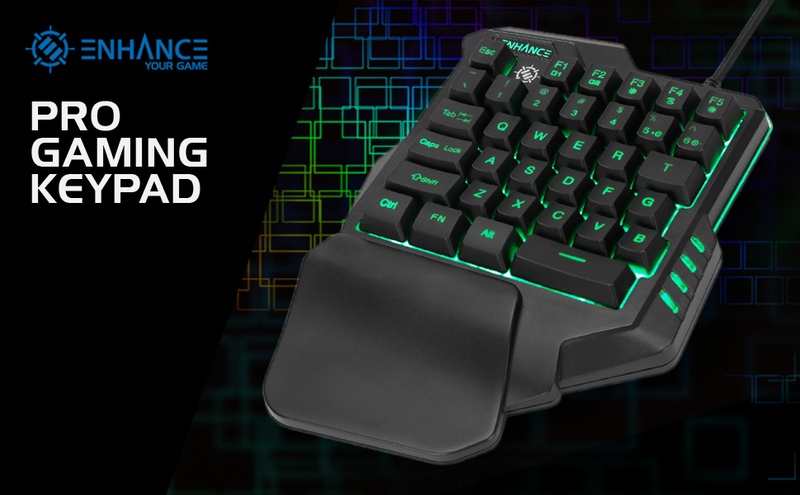 Improve your in-game performance with the ENHANCE Gaming Keypad. 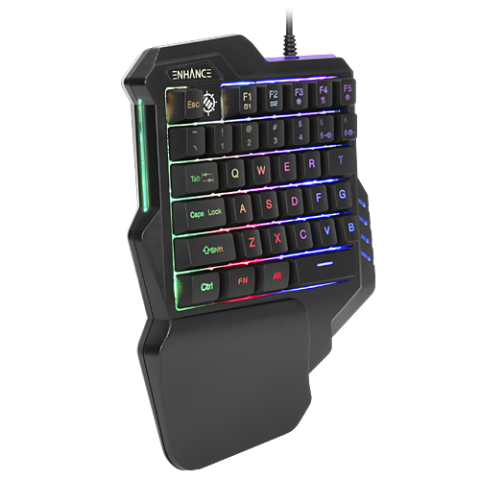 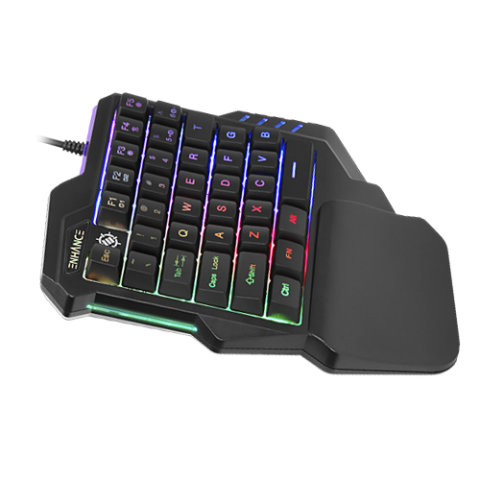 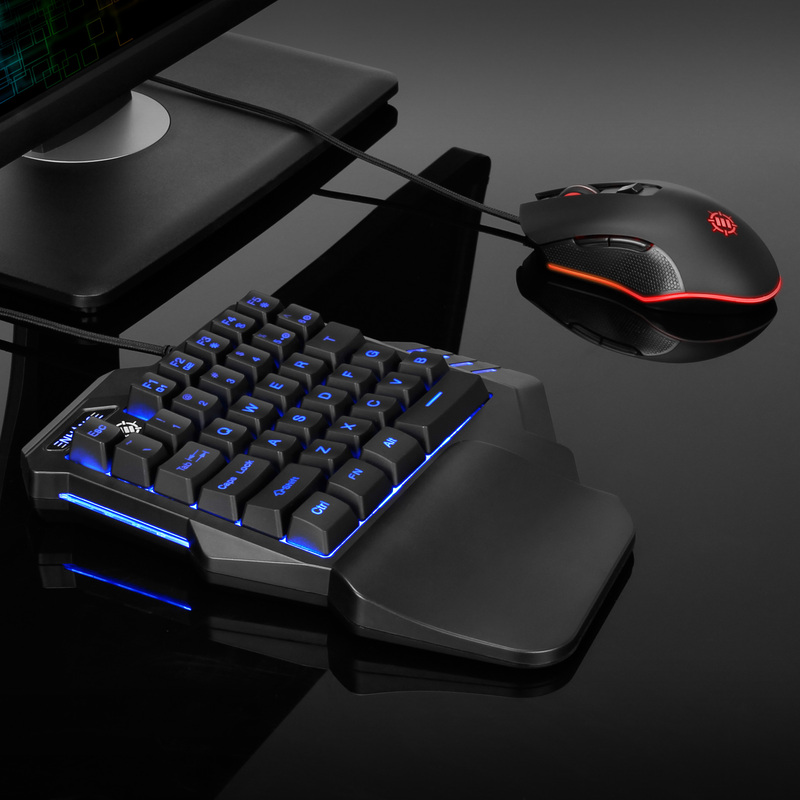 Equipped with an impressive array of LED settings and two programmable keys designed for quick access to frequently used commands, our Gaming Keypad was built for gamers of all skill levels. 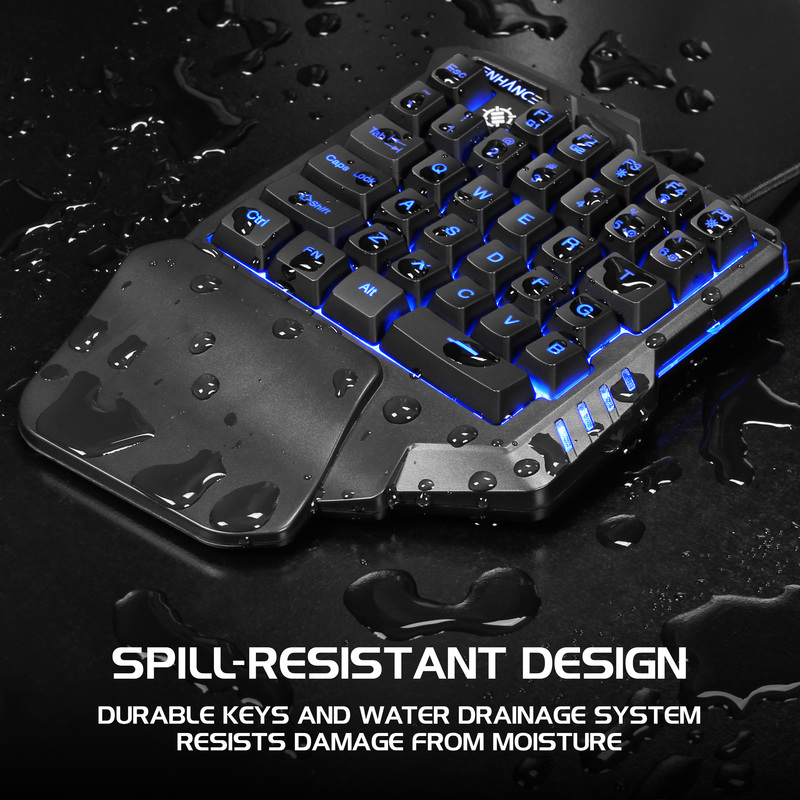 The water resistant design protects against accidental spills and moisture. 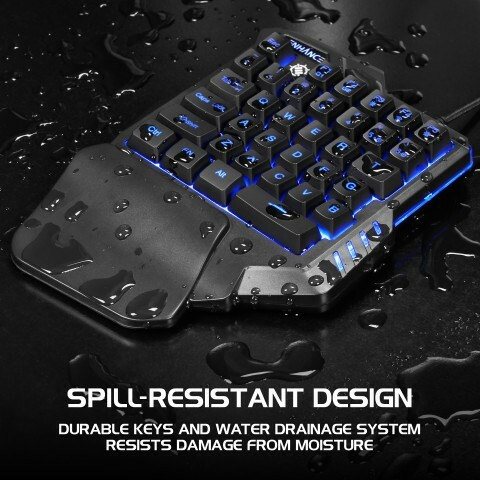 Any excess moisture is channeled toward the bottom of the pad and exits through the dedicated drainage ports, making it easy to clean and dry after any spills. 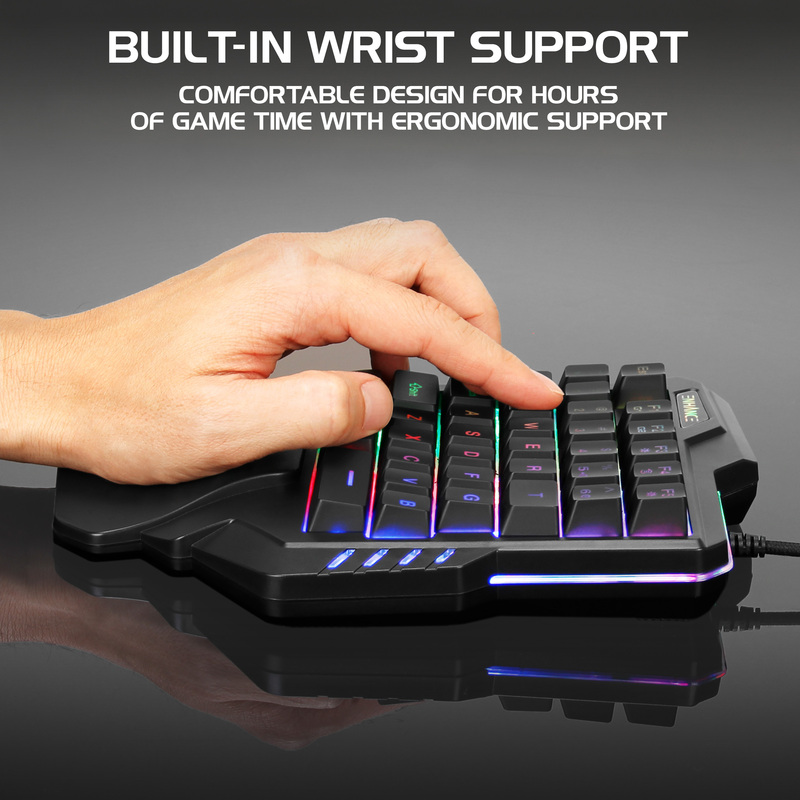 The integrated wrist support bar lifts your wrist to a neutral angle relative to your hand and fingers, allowing for a comfortable angle ideal for hours of continuous gaming. 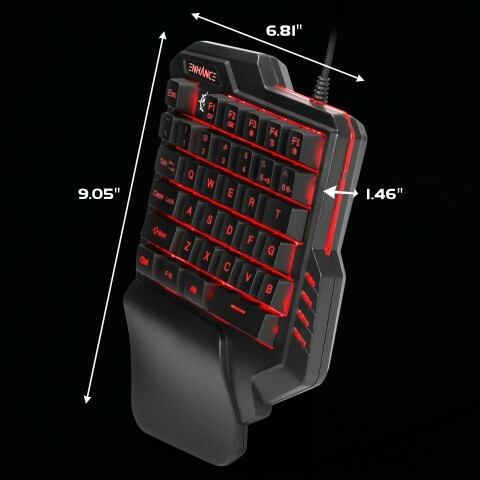 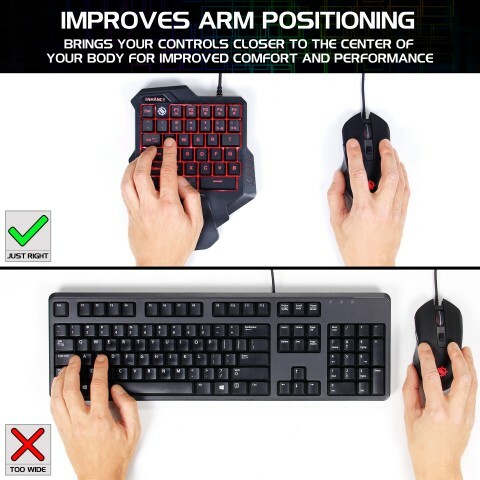 Combined with the easy to reach keys, wrist strain and comfort are dramatically improved over a standard keyboard. 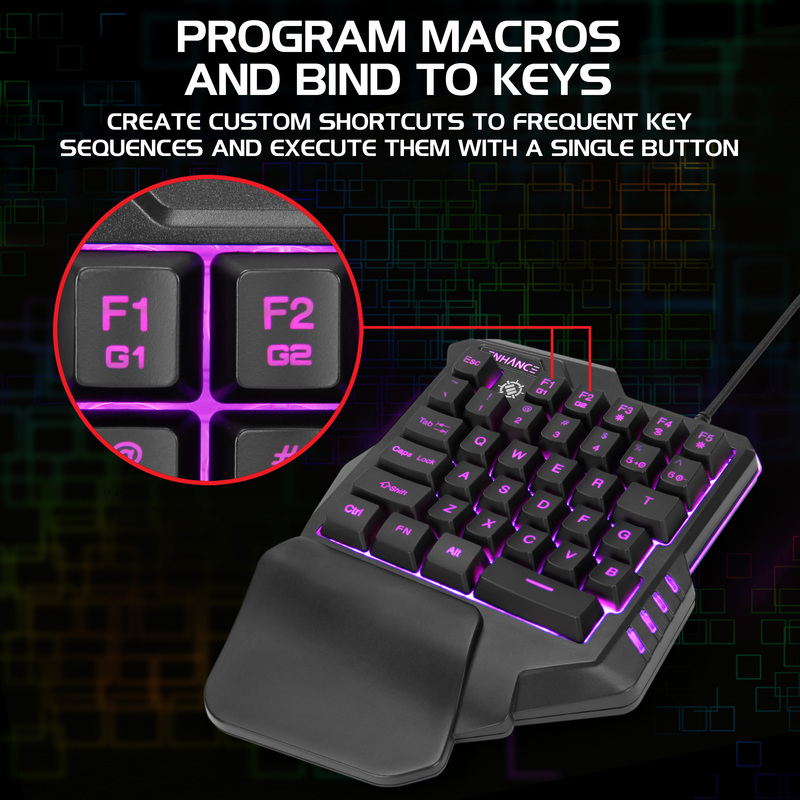 Bind custom macros to the two programmable keys to activate frequently used actions or commands at the press of a single button. 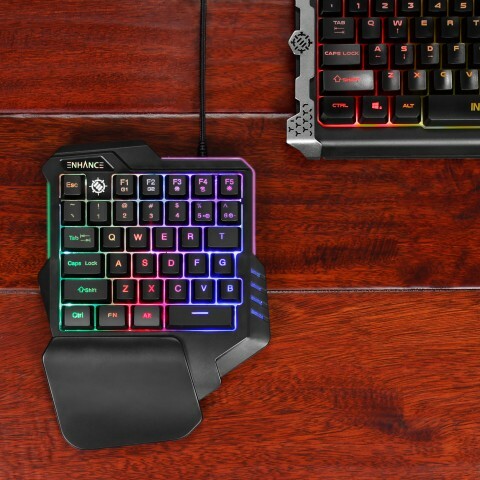 The keys are bound to the F1 & F2 keys for ease of reach, and are programmable directly from the keypad, so no need for overly complicated software suites. 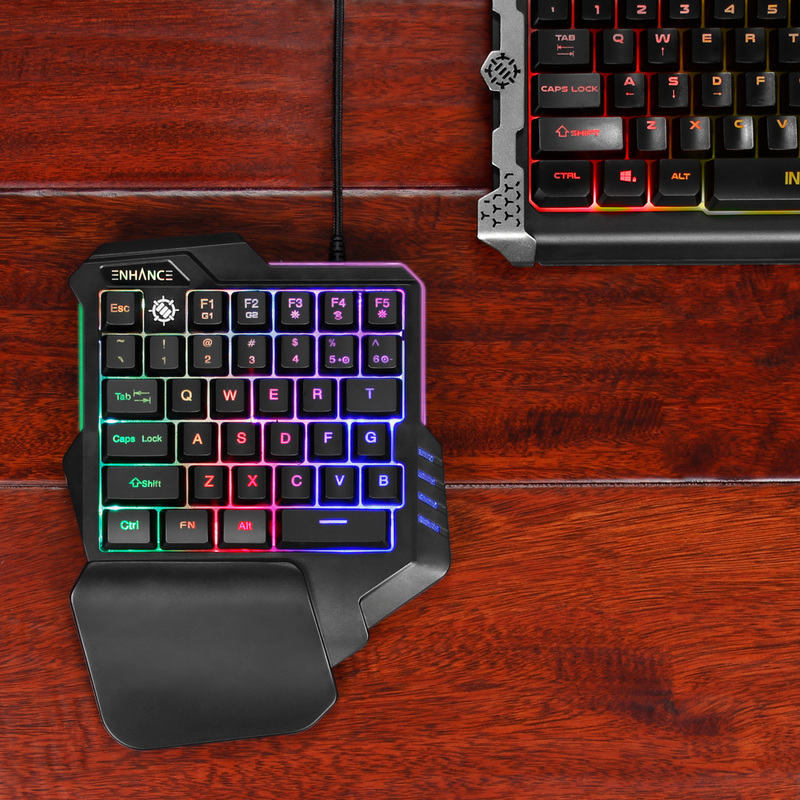 Select from 7 static colors (Red, Blue, Green, Purple, Yellow, White, Cyan) or 2 dynamic lighting modes (Rainbow & Color Fade) for an impressive display of ambient lighting that matches the aesthetic of your gaming desktop setup. 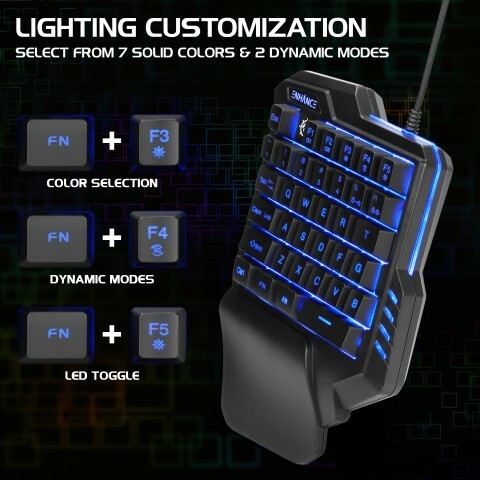 The keys are backlit and modern panel lighting on the sides of the pad change with the lighting settings you choose.